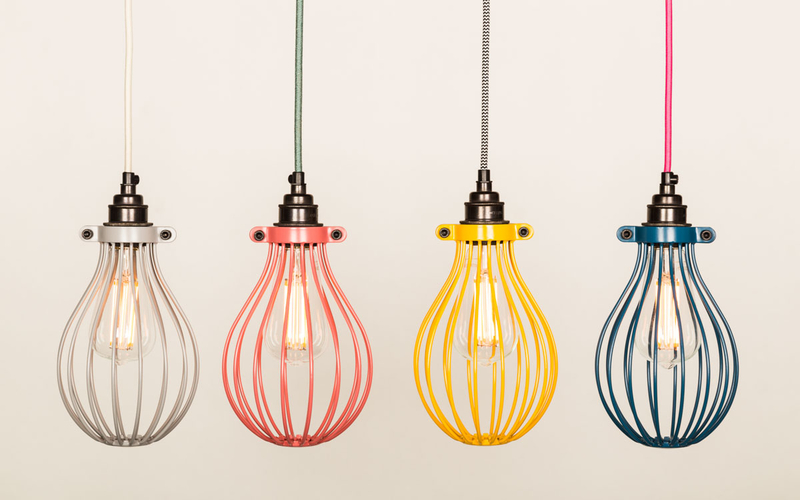 An evolution of the fan favourite cage pendant light: the Rosa Kids pendants bring new colours and fresh possibilities. 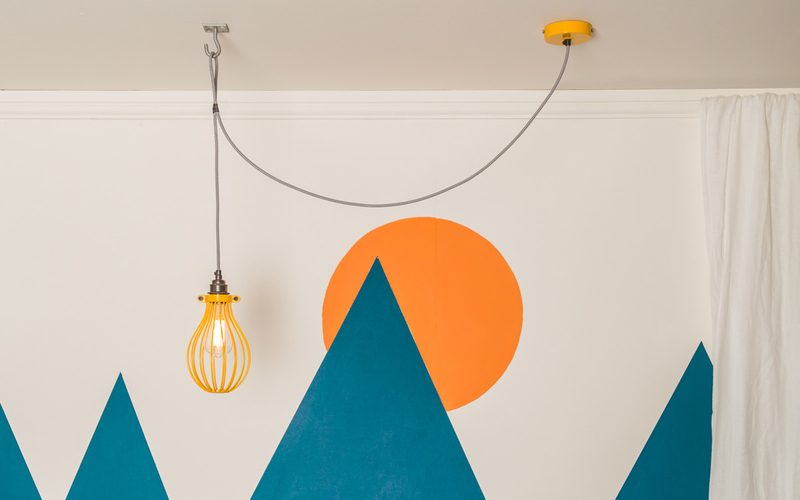 With their playful combinations, the Rosa cage lights are great for injecting colour into any space. The gentle colourways lend themselves perfectly to the nursery or playroom. The Rosa is perfect for hanging as a straight drop ceiling light. Or, opt for the longer cable length and couple with a ceiling hook to create interest or position the drop where required. The Rosa is pictured with the square lighting hook - or - shop all lighting hooks. classic Edison, pear shape, oval, and short tube traditional filaments, and pear, classic Edison, short tube low energy light bulbs.